This scintillating one piece dress makes the wearer look gorgeous and trendy. 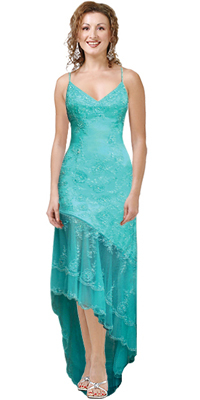 It features a thin straps followed by the V neckline makes the wearer look stunning. The intricate beaded work on the dress is an eye catchy feature. This classy knee length attire is an eye catchy feature.